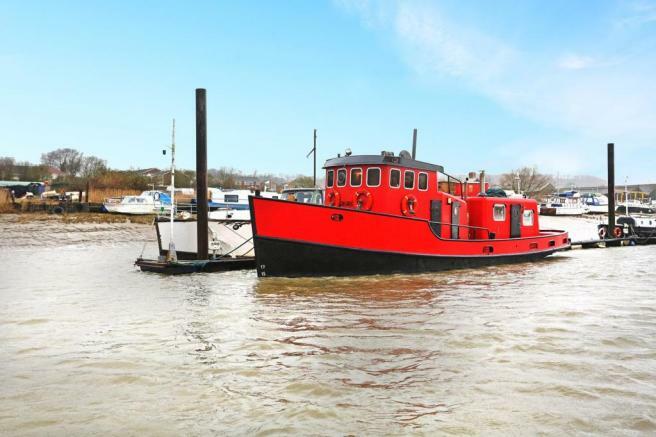 riverhomes are delighted to market Ness Point, a working, converted 55ft x 13ft8 Dutch tug built with steel that has been transformed to provide a stunning live aboard. The current owners have extended the original super structure to create a large, light and comfortable living space. Cuxton Train Station is a 45 minute commute to London St. Pancras with one change. Great transport links and leisure activities with the added bonus of secure parking and marina services. 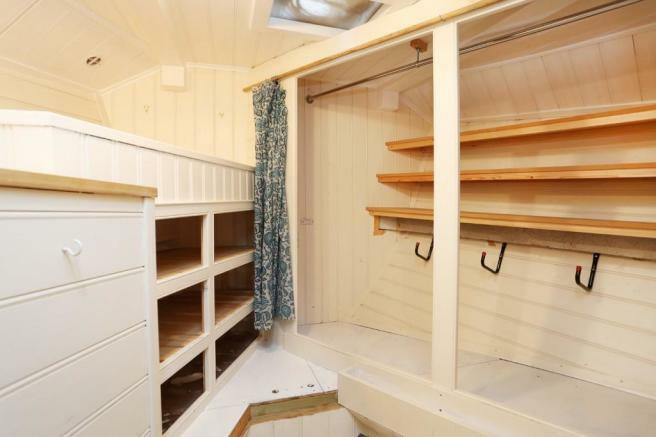 Accommodation comprises; lounge/sleeping area which is bright and welcoming with a space saving sofa bed with storage underneath, 2 fold down coffee tables, room for a TV, a Stovax enamel multi-fuel wood burner and Eberspacher hot air heating system. 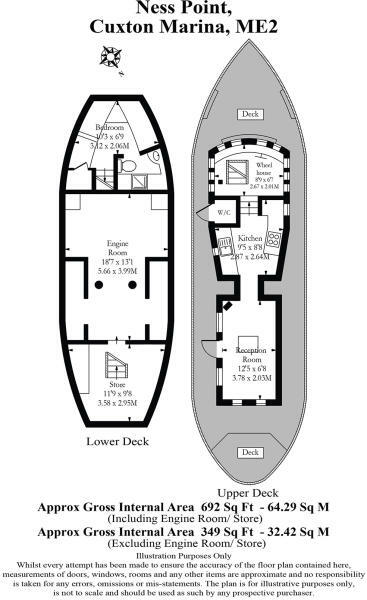 The engine room is accessed through a large hatch in the lounge. 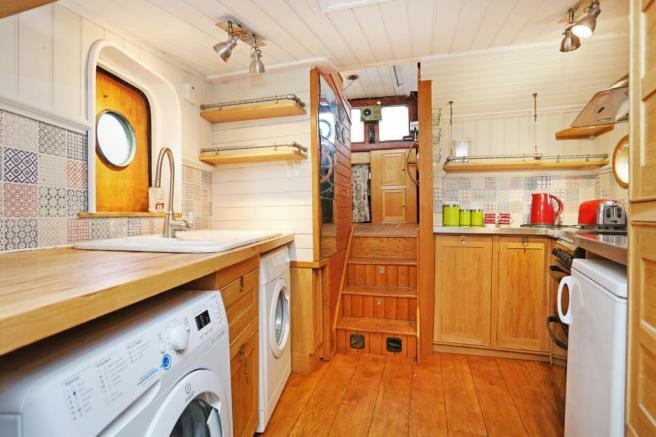 The large galley/kitchen is equipped with a gas oven, fridge, full sized sink, and a washer and dryer and well designed storage units. 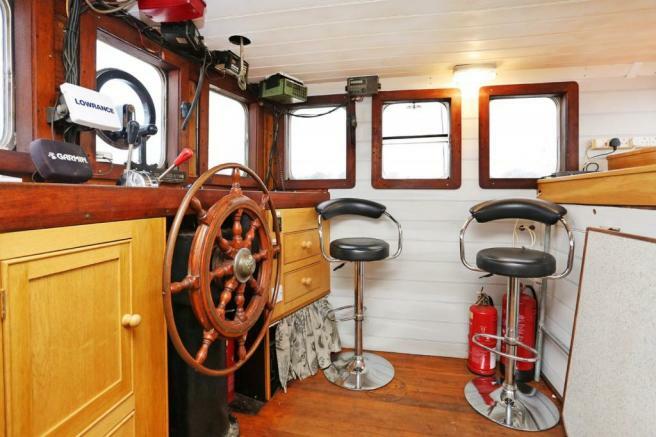 Steps lead up from the galley to the wheelhouse to the helm position, which has wheel control steering, and navigational equipment as well as more cupboards and drawers. 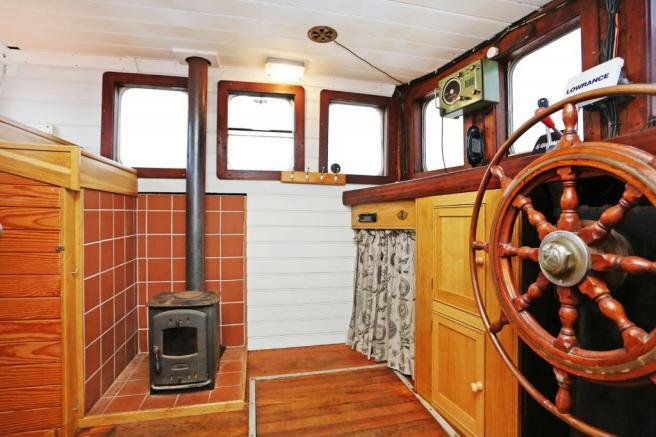 Large windows provide panoramic views across the River Medway and surrounding countryside and give good visibility when cruising. 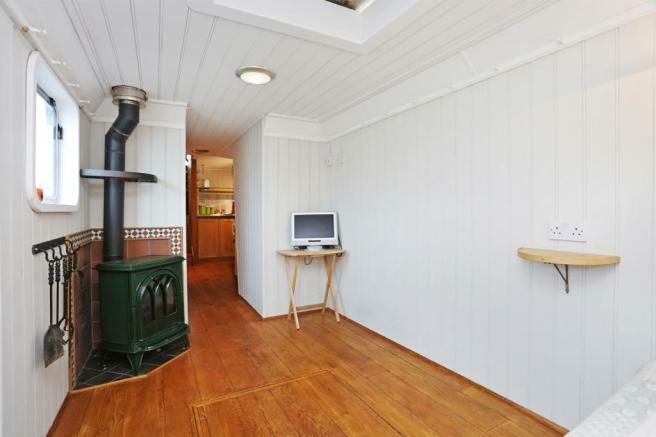 There is a drop down table for dining and a second multi fuel burning stove. 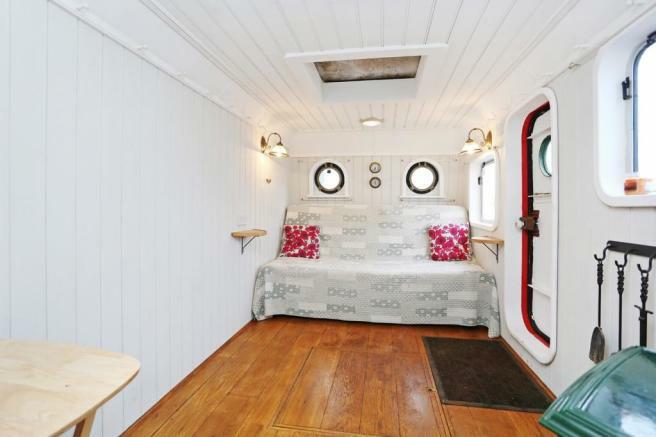 Through the hatch and downstairs leads to the second berth which is currently used as a dressing area providing plenty of storage space & there are hatches for natural light and ventilation, bathroom with electric sea toilet, hand basin, and a full sized enclosed shower with thermostatic control and storage shelves. Outside on deck there are wide walkways and areas to store logs etc. and plenty of room to sit and enjoy the surroundings. 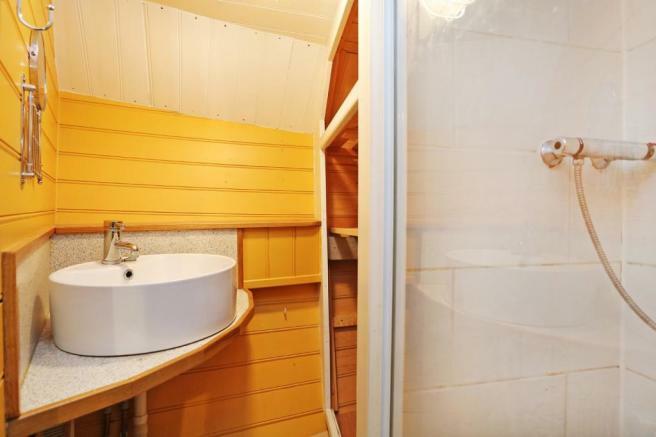 There is also the benefit of a secondary W.C. which is accessed on the port side. 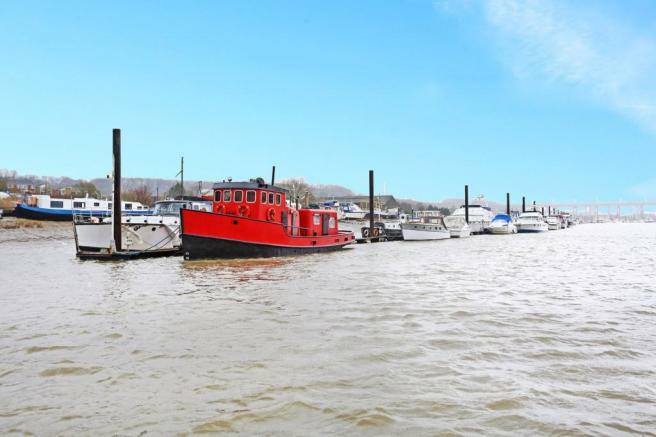 Overall Ness Point is a comfortable character home offering a peaceful lifestyle experience and is moored in a convenient location with stunning views. Disclaimer - Property reference 43997. The information displayed about this property comprises a property advertisement. Rightmove.co.uk makes no warranty as to the accuracy or completeness of the advertisement or any linked or associated information, and Rightmove has no control over the content. This property advertisement does not constitute property particulars. 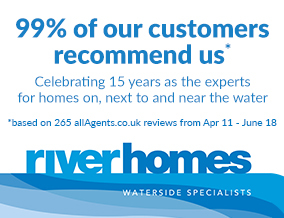 The information is provided and maintained by riverhomes, Greater London office. Please contact the selling agent or developer directly to obtain any information which may be available under the terms of The Energy Performance of Buildings (Certificates and Inspections) (England and Wales) Regulations 2007 or the Home Report if in relation to a residential property in Scotland.